We interviewed Mr. Nanzuka, Gallery owner of Nanzuka Underground, about the artist Kosuke Tsumura. 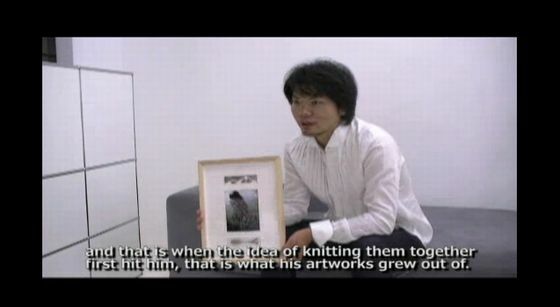 -What made Tsumura decide to knit cords for his works? -Could you tell us the story about “code blanket”? -Did he see the cord blanket as a kind of clothing? -What’s Tsumura like in person? -Does Tsumura differentiate between himself as a fashion designer and as an artist? We are really surprised to know the weight of the code blanket! The weight is … the answer is in the interview.